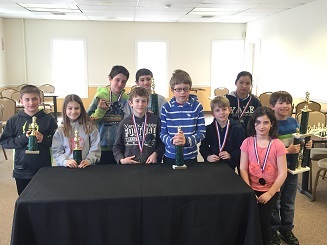 Once again children from all over Fairfield County and New York came to CCFC to compete in our monthly scholastic tournament. 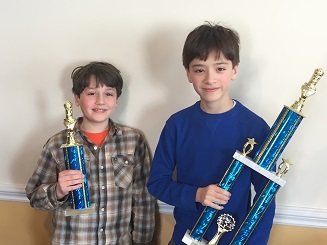 Dream Teamer Andrew Gray won first place in the K-8 section with 3.5/4. Another Dream Teamer, Louis Savarese, had a breakout tournament, drawing one and defeating two players nearly twice his rating! His efforts were good enough for clear first in the K-5 section. 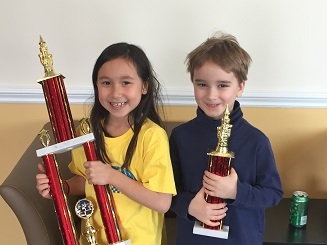 The K-2 section was won by yet another Dream Teamer, Paloma Dudas, who has made remarkable progress over the past few months. The children at our tournament always show remarkable sportsmanship. This was evident even after the awards were given out when first and second place finishers made a point to congratulate and shake each others’ hands. What an example they set!